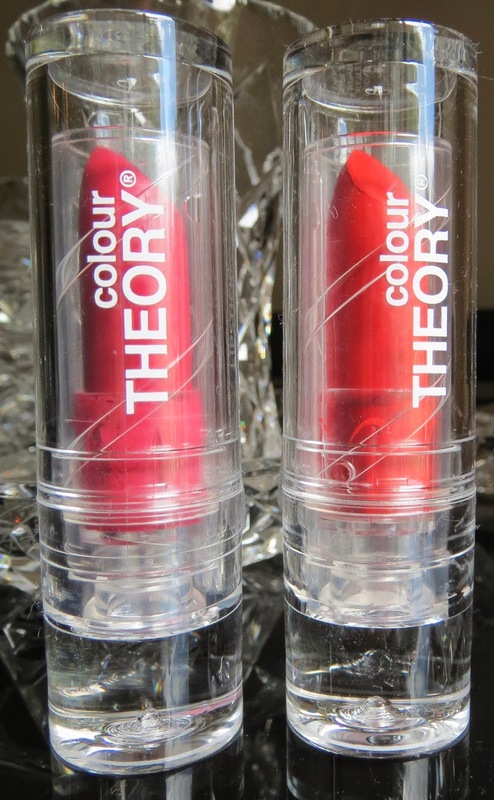 Today I am going to be reviewing Colour Theory's lipsticks in the shades 'Flirt Alert' and 'Pouty Pink'. 'Pouty Pink' is a gorgeous bright pink berry colour. 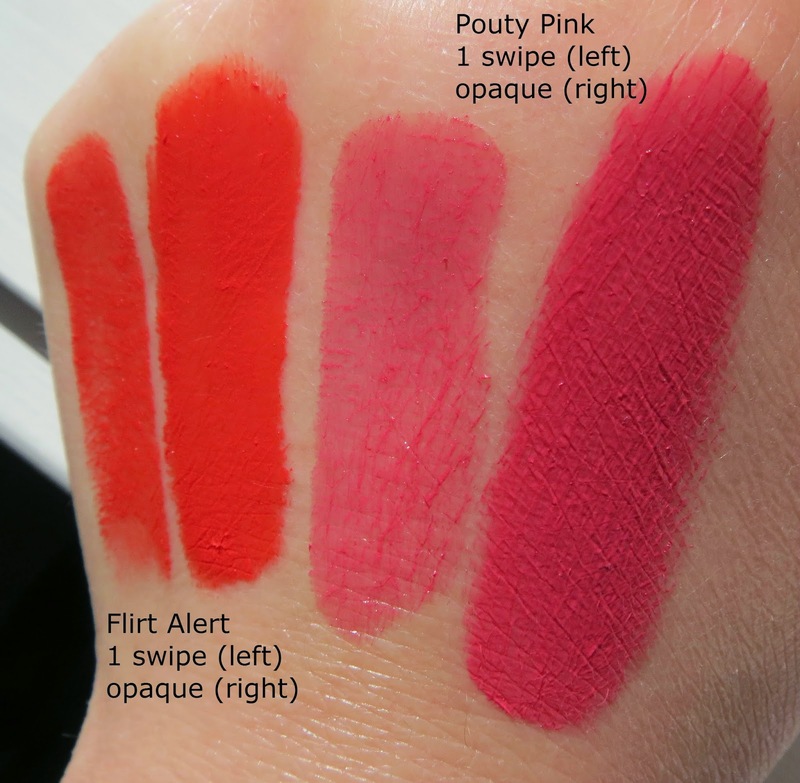 'Flirt Alert' is a tomato red. The packaging of these lipsticks is great. The plastic tubes are thick and feel really sturdy. The lids click on firmly with no possibility of them coming lose when they are in the bottom of your handbag. I like how the tubes are completely clear so you can see the the mechanism and (obviously) the colour of the lipstick clearly. On application 'Pouty Pink' feels really creamy and moisturising but not heavy. I have had pretty dry and chapped lips lately but this lipstick didn't dry my lips out or emphasise my flaky lips. If are afraid of a bold lip (like me) you can wear 'Pouty Pink' sheer by just swiping it over your lips. But if you want that bright berry lip you can get it easily as it is a very opaque and buildable lipstick. After two hours this still looks perfect on my lips and after three hours I was left with a stain on my lips (after eating and drinking). You could easily apply a clear gloss or balm over this after three hours to turn the stain into a glossy look. 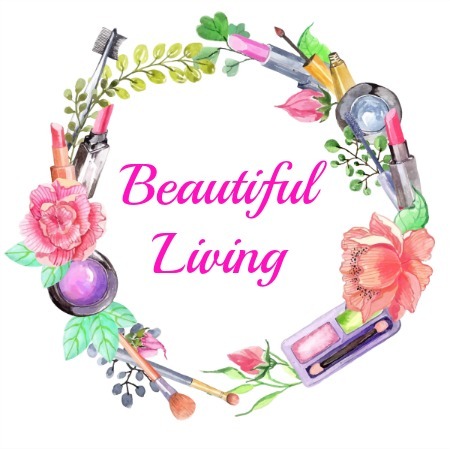 The lasting power of this lipstick is simply AMAZING!!! 'Flirt Alert' is a very vivid matte tomato red. If you love a bold lip you will love this red. It feels different on the lips when compared to 'Pouty Pink' - slightly heavier and less creamy. After an hour the colour is still pretty vibrant. It's only when you are getting close to the 2 hour mark that you notice it starting to look visibly less vibrant. You can buy Colour Theory nail polishes at Amcal, Amcal Max and Guardian Pharmacies and online from Amcal and Guardian Pharmacies. *This product was kindly provided to me for review purposes, all opinions are 100% honest. 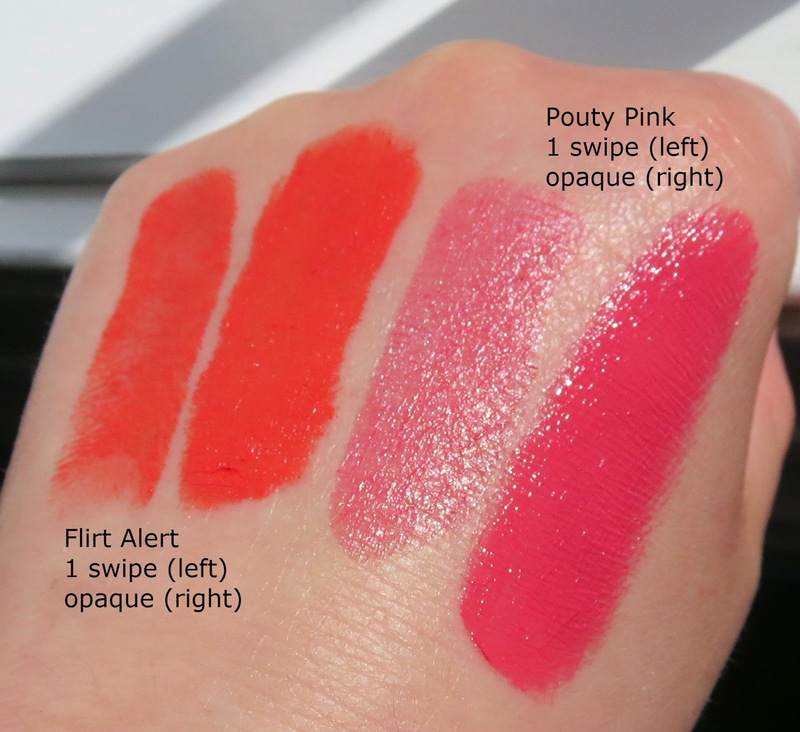 Both are pretty lip colors but I prefer flirt alert. I prefer red orange lip colors for they look great on me. I have never tried this brand because of its simple packaging but now I will consider because of the color.